Pompey did not play but held on to their top of the table slot thanks to a Fred Onyedinma goal for Wycombe Wanderers before Josh Maja levelled things late on. 30,000 fans were in the Stadium of Light expecting their side to move to the summit of the division and I had already in the morning written the headline ‘Pompey lose top spot’ as I was certain the Black Cats would see off the Chair Boys. But Wycombe did Pompey proud and were unlucky not to pick up all three points when Sunderland scrambled home a late equaliser. So, Pompey stay two points clear and Peterborough also dropped home points drawing 1-1 with Bradford City that allowed Barnsley to move into third place with a 2-0 win at Accrington. Luton were also big movers crushing hapless Plymouth 5-1 at Kenilworth Road. No match report today but let’s look back to last Saturday and the successful FA Cup visit to Maidenhead. 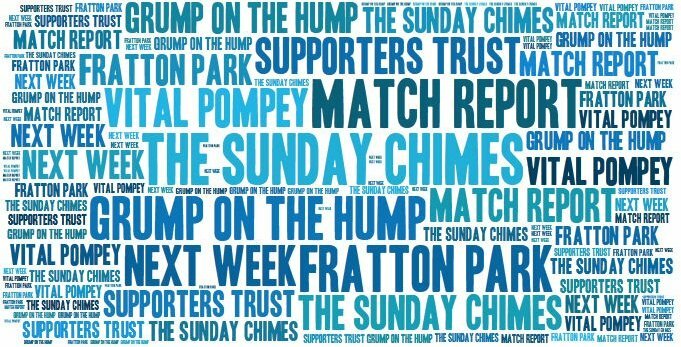 It was a rarity because Pompey performed in front of the TV cameras and they impressed a number of watchers. Playing a full-strength side with no league game for two weeks was the right decision and Jackett’s men did him proud by slowly asserting themselves and then killing off the opposition in the second half. 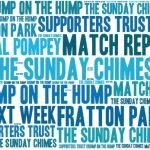 4-0 as a score-line did not flatter Pompey and we all sat down on Monday evening in anticipation of the second-round draw. Rochdale away is probably the worst possible outcome – a long trip with a small crowd and it has also been moved to a Sunday to allow TV coverage overseas – does that include Portsea Island? Tuesday night saw the Pompey second string beat Spurs U21 to win their Checkatrade Cup group and qualify for the second round. The draw again was unkind sending Arsenal’s U21 to Fratton Park in the first week of December, Pompey I am certain would have preferred a proper League side. The plus side of Tuesday was the Armistice 100 commemorations which went to plan and all those involved were well looked after by the club. You might remember last year I was scathing of the club’s organisation and I gather that the Eisner family were absolutely determined to ensure that this did not happen again and arranged meetings throughout the year to make proper preparations. The only sadness was it could not be held on the day on a League game due to the fixture’s mess. Every fan knows that a coin toss is required to decide which side kicks-off under the laws of the game. However, what happens if the referee forgets to take a coin onto the pitch. Well, last month David McNamara did just that in a Manchester City Women’s match with Reading and decided to use Rock, Paper Scissors instead. He has been handed a three-week ban! Read the full story Read the full story here. The story of a partially sighted fans who travels 500 miles to watch his National League South side Hemel Hempstead. Colin Perriera is at University on Plymouth and BBC Local Radio followed his journey. Read the full story here. Richard Scudamore the Chief Executive of the Premier League has decided to retire from his £2.5m per annum post which he has held for nineteen years. He will be replaced by Susanna Dinnage who was previously President of the Animal Planet channel. The Premier League have decided to pass the hat round to mark Scudamore’s efforts with a suitable gift. No not a carriage clock to put on his mantelpiece or something similar but a cheque for £5m!!! Each of the twenty clubs is being asked to contribute £250,000 money which could be spent on community projects for example. In my opinion, this is a disgrace. Serbian Superliga defender Zarija Lambulic has staked his claim for the own goal of the year, with this delicate beauty. Unfortunately, Lambulic’s magic touch sent his Proleter Novi Sad side on their way to a 2-1 defeat to Radnicki Nis.